Guess what I did last night? 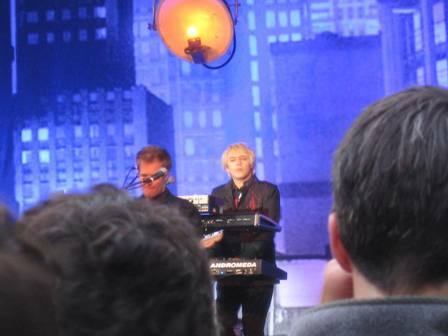 I went to see Duran Duran (double d, couldn’t resist) last night at Rumsey Playfield in Central Park. 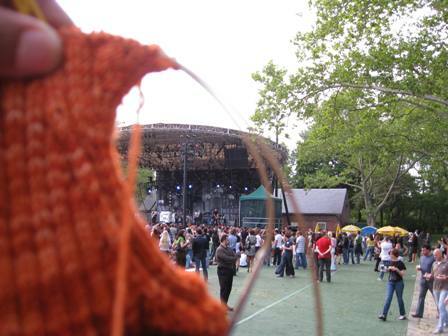 This was the second time I’ve seen them in 6 months…I don’t know how that happened exactly but it was awesome…and of course I had my knitting. That got some attention but I didn’t care. I was just practicing for June 14th. I couldn’t remember which one I should put in focus…the sock or the background…not that it matters. I think the anticipation of a trip back to my 80’s music days had me a bit befuddled. 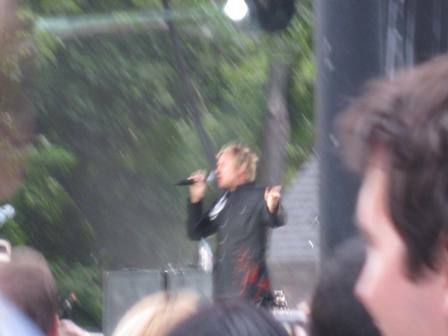 That is a terrible picture of Simon…but I had to include it…When talking about 80’s music does it get better than Duran Duran? 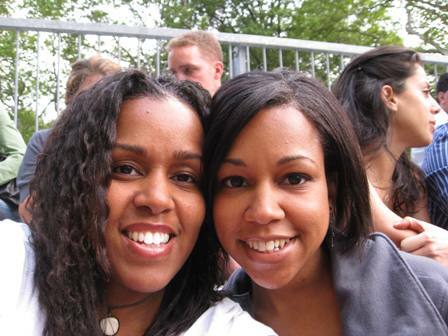 The baby sis and I…thanks for getting the tickets…I had a great time.